I’m sure by now you would have come across Pinterest, either through a friend or from browsing around the internet, and I’m sure that the first time you saw Pinterest you thought, ‘what the hell is this?’…or was that just me? I was a lover of Tumblr and Twitter and thought Pinterest was the weird cousin you just saw when someone made you look at it. But wow was I wrong! 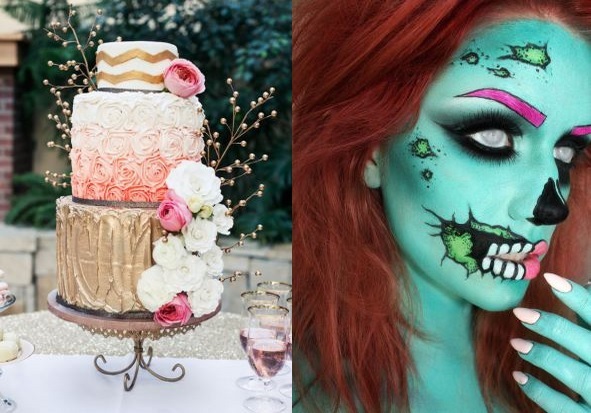 I love Pinterest, I’m obsessed – it is the most amazing site I have used, especially for finding different hair styles or a new style of nail art and it’s fabulous for Halloween! I’ve even gotten a few people addicted to using it as well. And the thing I love most about Pinterest is that people aren’t going on and on about followers or trying to ‘whore’ themselves and gain more followers, it really is just about the pins – for me at least. As you can see, I like to pin a lot. But you can also see that there’s a lot to see! If you want to find out the new hair style for 2015, you can find it, or funny quotes from your favourite game, you can find it. And now you can save searches so that they appear straight to your dashboard for your every pinning need! I’m definitely going to try out the hot chocolate DIY bauble gift, and the different types of hot chocolate, maybe even try a few DIY Christmas decorations. But as you can see, Pinterest has a lot to offer. If you love a little bit of DIY then it is definitely worth a look. But don’t worry, it’s not all about doing things yourself, it’s a fab way to plan things too. The majority of people on Pinterest tend to have a ‘dream home’ board, ‘wedding ideas’, ‘hairstyles’ or even a ‘dream holiday’ board; I know I do. And mine aren’t private (mostly because I didn’t realise I couldn’t make it private after I started it…), but I have no shame in pinning a few ideas for a wedding that may or may not happen, so you shouldn’t either! That’s The Beauty of Pinterest!